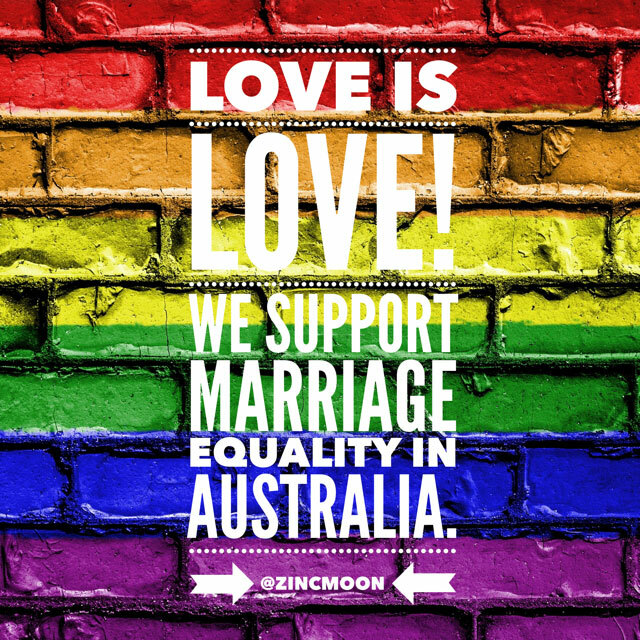 Sadly, last week saw me stuck at home with a bad headache…it lingered for days, turning up the volume every now and then to ensure I knew it was there. Thankfully, I don’t get the full blown migraine, but it is so frustrating!! But I did manage to get myself up, dressed and in front of the camera by mid week. Wednesday, I declared war on my headache and got dressed up…although the couch was where I ended up again very soon after. 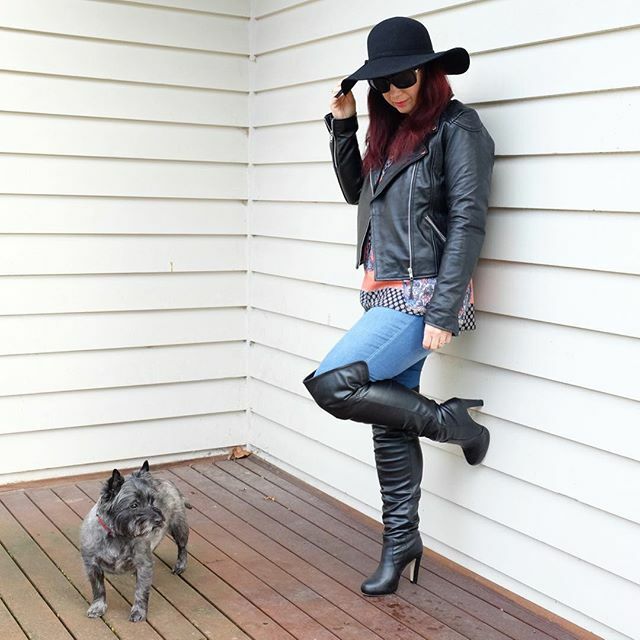 Anyway, outfit consisted of Jeanswest Curve Embracer jeans, a top I found on sale at Katies, and a Dangerfield leather biker jacket. Boots are from Spendless and the hat is from Grandma Funk. And don’t you just love my little supervisor! This was the most liked outfit on Instagram…and I have to say I like it too! Thursday saw me still with a sore head…can you tell by my expression? 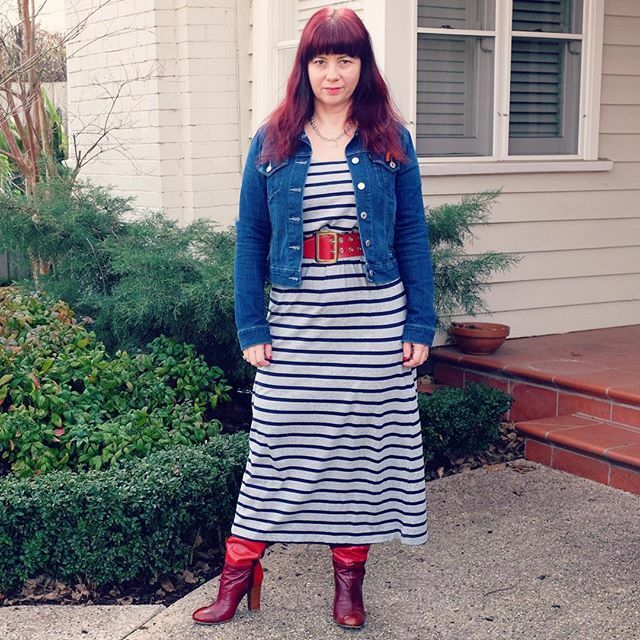 So a casual, comfy outfit was in order…dress is an opshop find ($5) with an opshop find red belt, my cropped denim jacket & my favourite red boots (an eBay buy from years ago). 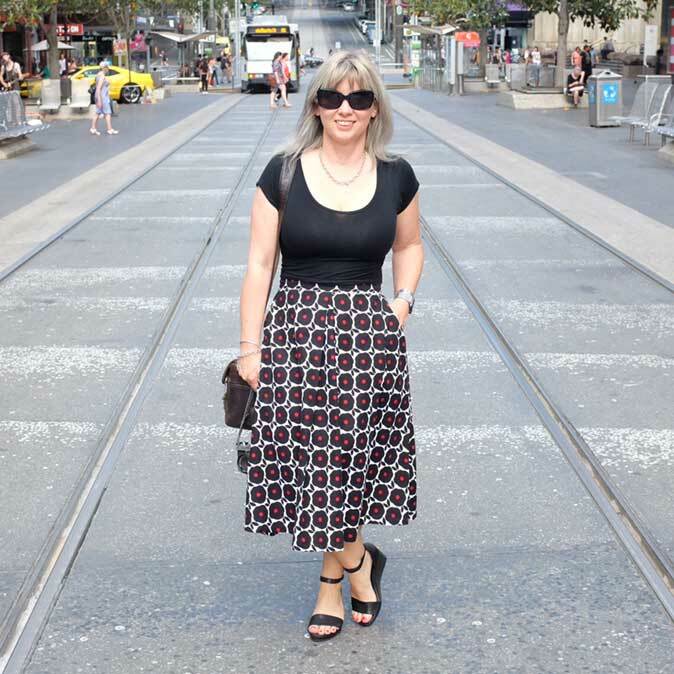 As the dress is a summer style, I added a long sleeve t-shirt underneath for extra warmth. Friday was another cold, wet day and yep, I still had that headache. 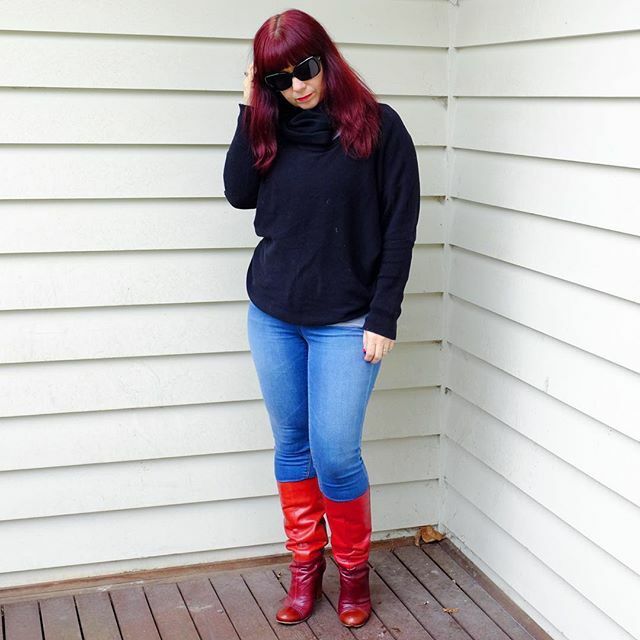 Had to take the furkids to the vet for checkups, so a casual outfit of Jeanswest jeans, an opshop find black jumper, black scarf & my red boots added some colour on this dull day! 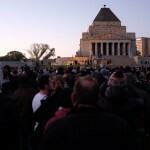 Saturday was beautifully sunny, and we headed out into the city as I was very sick of being stuck at home. 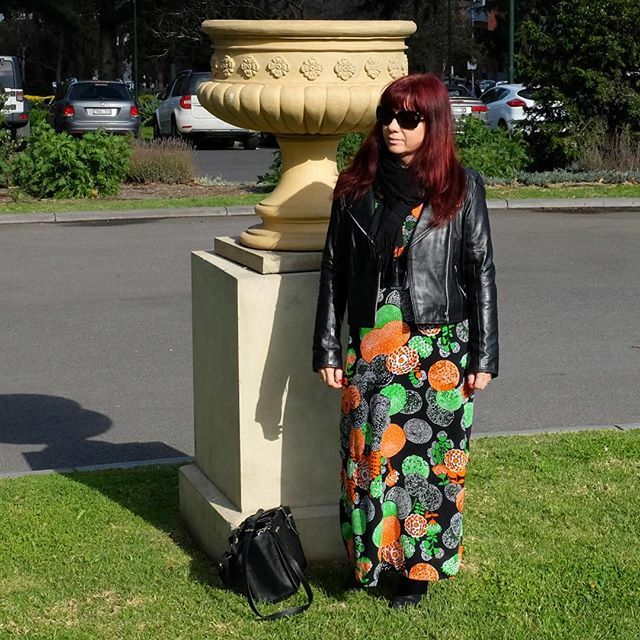 I wore a vintage 70s maxi dress with an opshop find belt & a Dangerfield leather bikers jacket…plus a scarf & boots! Sunday saw a freezing start but another glorious sunny day…and by mid afternoon, guess what? 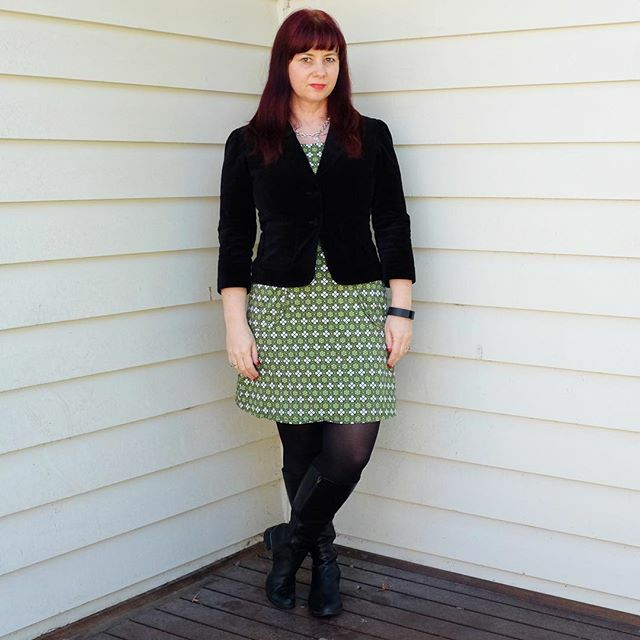 The outfit of the day was a Dangerfield velvet jacket & dress with black tights & boots.